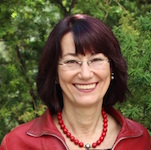 Christine Garbe studied German Language and Literature, Social Sciences and Pedagogy in Hannover and completed her doctorate degree at Free University in Berlin, where she also started her academic career. In addition to her professorships at Leuphana University of Lüneburg (1996-2010) and University of Cologne (2010- today), she has been actively engaged in coordinating a variety of European projects such as ADORE, BaCuLit and ISIT. One of the biggest milestones in her career is the coordination of the European Literacy Policy Network (ELINET), which unified 28 European countries for the purposes of literacy policy-making and reading promotion in Europe. Christine has also published numerous articles and books about gender and reading, history of reading, literary socialisation / reading socialisation, adolescent literacy and reading instruction, as well as children and young adult literature.